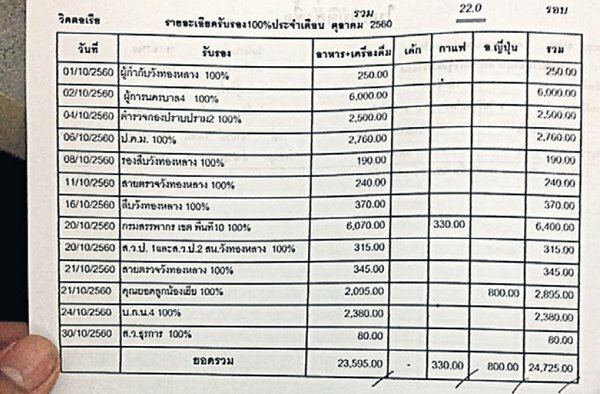 BANGKOK: The Public Sector Anti-Corruption Commission has launched an investigation into freebies dished out by a local massage parlour. 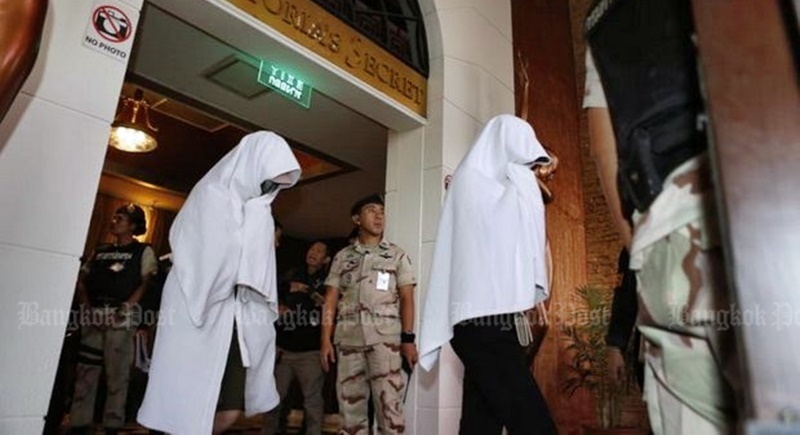 PACC acting secretary general Kornthip Daroj said the agency has begun looking into documents seized from Victoria’s Secret Massage during a Jan 12 raid to identify state officials who received special discounts from the establishment. During the raid, authorities found records of police who visited the parlour and received free food, drinks and even free massage services. Some officers were said to be “100% sponsored” when they visited. Documents seen by the media show the positions and the units of law enforcement officials who visited the premises in October and September last year. The raid on the massage parlour last Friday found under-age workers and evidence of police bribery. They include Wang Thonglang Police, Crime Suppression Division Police, Metropolitan Police Bureau Police, Revenue Department district officials, anti-human trafficking police and immigration police. The discounts and free services are believed to be bribes paid to the authorities. Lt Col Kornthip said a committee has been set up to identify the officers, whose initials and positions appear on the parlour’s guest list, and summon them for questioning. After the raid, five senior police officers at Wang Thonglang Police Station were transferred to inactive posts to ensure transparency in the investigation into the incident. The five officers are the Wang Thonglang station chief, the deputy chief of investigations, the deputy chief for crime suppression, an investigating inspector and a crime suppression officer. The raid was carried out by a joint task force led by the Department of Special Investigation (DSI) and local authorities following complaints that migrant and underage workers were allegedly forced to work as prostitutes there. More than 100 women were rescued, most of them from neighbouring countries, and some with no ID cards. Boonsap Amornratanasiri, 55, aka “Pa Kob”, was arrested during the raid and is being detained after the Criminal Court denied him bail. Police say they had obtained more than 10 arrest warrants against him for alleged trafficking and procurement. A source at the DSI said yesterday (Jan 14) that they are trying to build a human trafficking case against those involved and hope the seized documents may help. However, the source said the initials may not be good enough to prove wrongdoing. Meanwhile, Col Kritsana Pattanacharoen, deputy police spokesman, said police are interviewing the women who were found in the parlour to determine if they were victims of trafficking. He said the Metropolitan Police Bureau (MPB) had ordered the immediate transfer of the five implicated officers at Wang Thonglang station. However, when asked about the records of special discounts seized from the parlour, he said the MPB is waiting for the DSI to forward further information before considering what action to take. He said the scandal should serve as a warning for local police to strictly enforce the laws in the areas under their jurisdiction. According to the DSI, the venue had lawful permission to operate but findings suggest that several women working there had been forced into prostitution. How good to know that it was only 1 'massage parlour' were all was wrong. All the fault of the 6 Government departments mentioned in this article. Good to know that all the other hundreds of Massage Parlours in BKK operate within the thai laws! After all prostitution and human trafficking are not allowed in Thailand. The RTP is very strict in enforcing these laws. :-)   Yes?